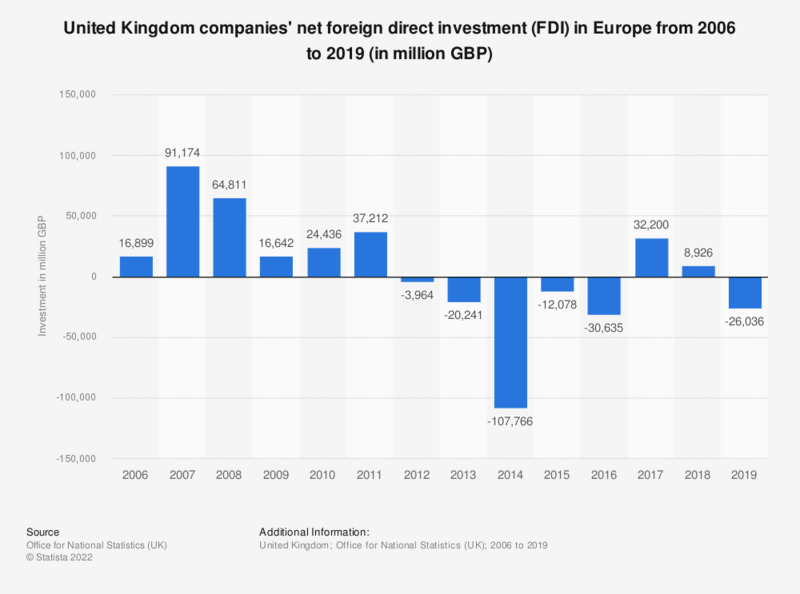 This statistic shows the net foreign direct investment (FDI) of UK companies into Europe from 2004 to 2017. Net investment peaked in 2007 at 91.2 billion British pounds. From 2012 to 2017, the UK experienced a net disinvestment in Europe, meaning net FDI was negative.